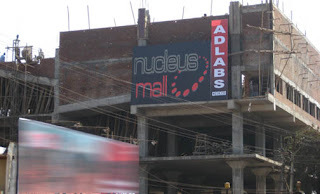 The first Mall in Belgaum or should I first say Mall with a multiplex, the Nucleus Mall with Adlabs Multiplex is taking its shape and it should take another 6-8 months to start operations. 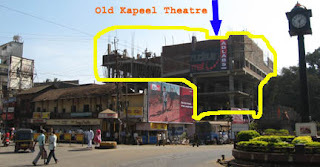 This is taking shape at the place of Kapeel Theatre in Ramling Khind Galli, The picture is taken from Bogarves. I heard that even INOX multiplex is also coming to belgam. any news on that front?